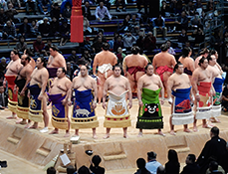 Fukuoka, Nagasaki, Kagoshima, Kirishima, Kumamoto, Takachiho, Kurokawa and Yufuin. 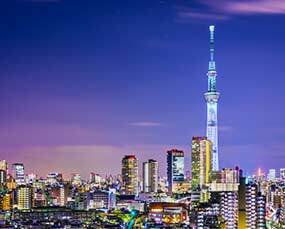 On this tour, you will be headed to the beautiful semi-tropical island of Kyushu, the third largest island of Japan which is sometimes neglected in tours to Japan. Historically, Kyushu was home to some of the most powerful samurai clans who played a pivotal role in Japan's modernisation. It was a port on Kyushu that served as the single point of contact between Japan and the West for two hundred and fifty years, during the Edo period. 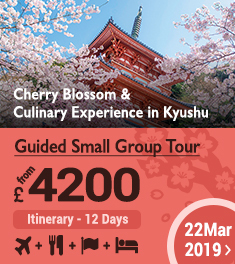 Modern day Kyushu reflects this history with many temples, castles and other historical sites, but is also renowned throughout Japan and beyond for its food, onsen and nature. 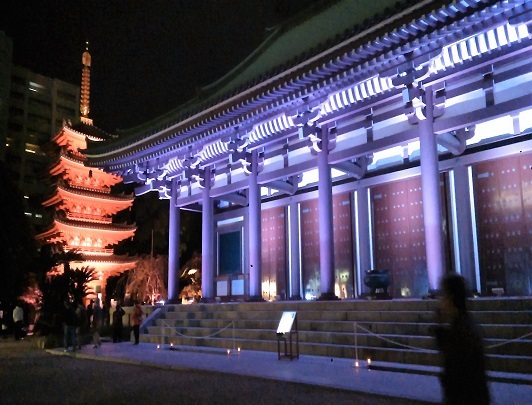 Your adventure starts in Fukuoka, one of the best gourmet cities in Japan. 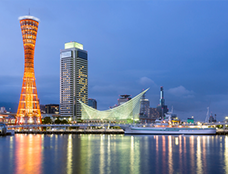 After Fukuoka, you'll be travelling to Nagasaki, most infamously known because of its wartime bombing, but which has since recovered and boasts numerous sites which reflect its status as a major port city connecting Japan to the outside world. 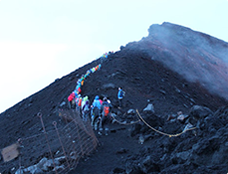 After this you will head to Kagoshima, famous for its always smoking volcano, Sakurajima. 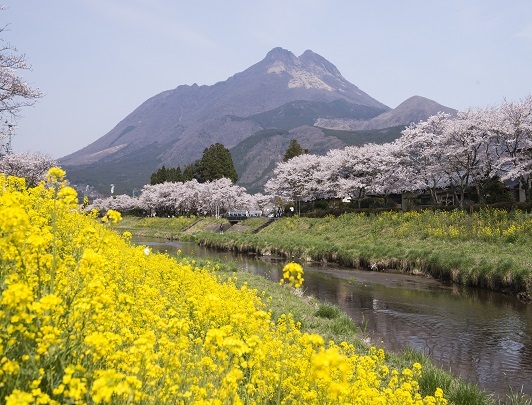 Kirishima, between Kagoshima and Miyazaki is a fantastic hiking spot which is well known for its connection to Japanese mythology. In Kumamoto, you will be able to see one of the largest and most spectacular castles in Japan, which was famously sieged for 53 days during a samurai rebellion. 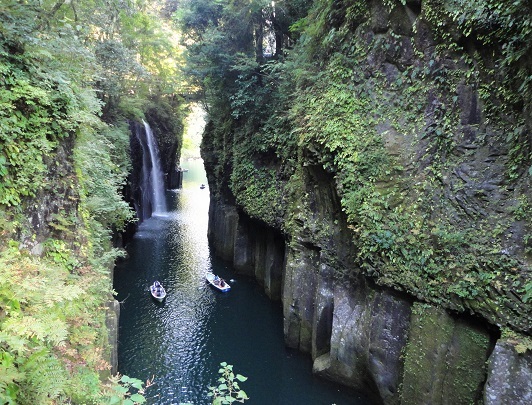 From here you will be able to visit the beautiful Takachiho Gorge, a 'power spot' renowned for its natural beauty and connection to nature and Japanese mythology. 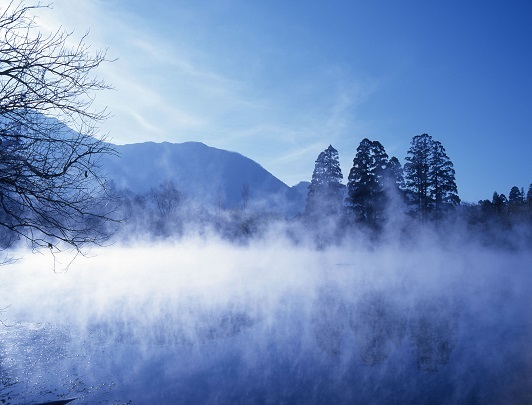 Following this, you will have the opportunity to relax in an 'onsen', or Japanese hot spring in Kurokawa, a charming small hot spring town. 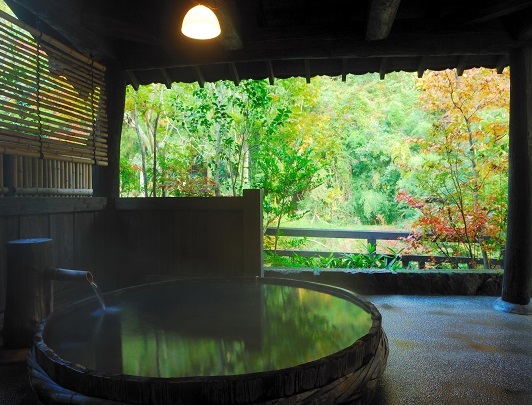 Onsen are one of the real highlights of Japanese culture, great places to relax and feel refreshed in nature. Finally, you will be able to spend some time in the lovely onsen town of Yufuin before returning to Fukuoka to travel home. 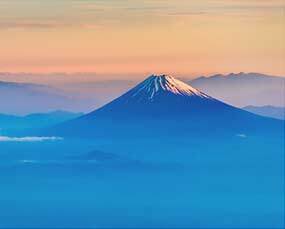 A trip to Kyushu is a slice of everything Japan has to offer, great food, beautiful nature, amazing buildings and fantastic hot springs. If doing something a little different to the usual is of interest, this is the tour for you! 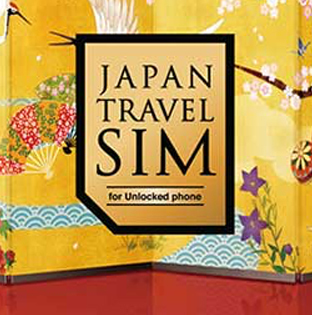 All great trips to Japan have to start at the airport! Depart from London to Fukuoka. Your holiday starts here, catch a film on the flight, or just try and get some shut eye. 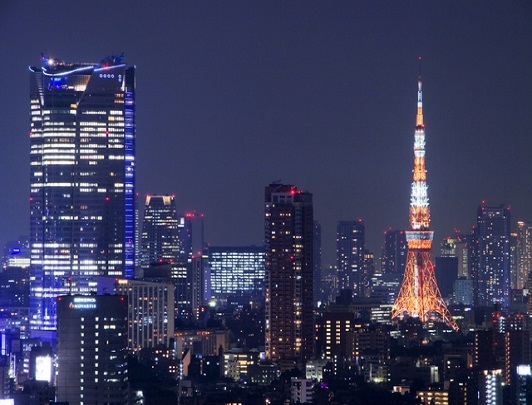 You'll be in Japan before you know it. 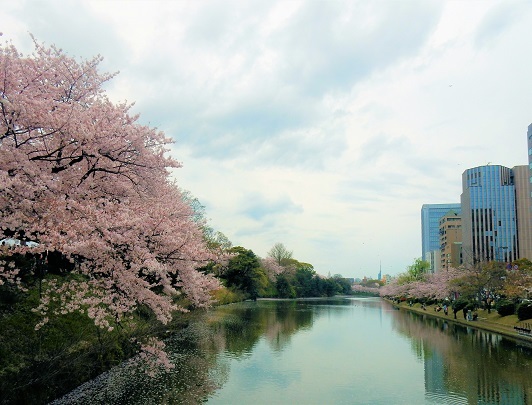 For the rest of today, you are free at leisure in Fukuoka. 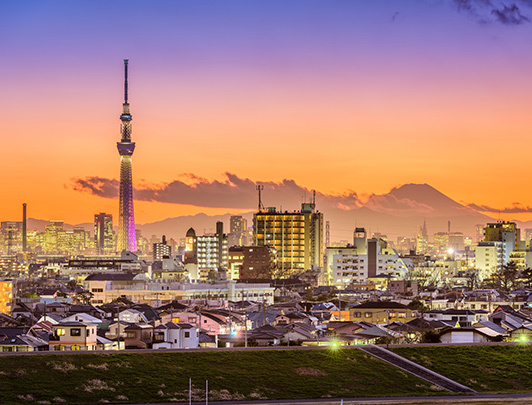 One of Japan's up and coming cities, Fukuoka is known for its nightlife and local cuisine, including the numerous food stalls or 'Yatai' set along the river. Particularly famous in Fukuoka is Hakata ramen, a style of ramen noodles that have produced restaurants the world over, but nothing quite compares to the authenticity you'll find in Fukuoka. Why not head out and try some for yourself? Today you get to start your train travel! 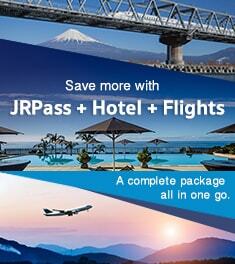 Leave from Hakata station to Nagasaki, and start using your 5-day Kyushu Pass. 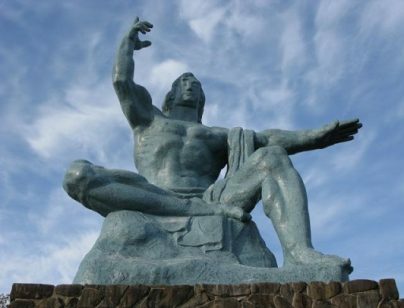 This afternoon, you are free to explore Nagasaki. Nagasaki is the site of Nagasaki Peace Park, the Dejima port where the Dutch traded Western goods with the Japanese for many years, and the iconic Gunkanjima or 'Battleship Island', a derelict island full of abandoned buildings that was made famous in James Bond's 'Skyfall'. 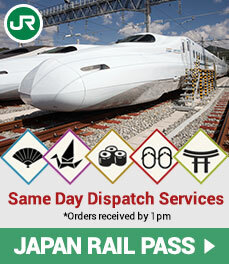 Another day another city, head down to Kagoshima with your JR Kyushu Pass. Feel free to explore Nagasaki until you do so. Depart Nagasaki at 14:20, arrive Kagoshima-chuo at 17:49, changing at Shin-Tosu. The symbol of Kagoshima is the constantly smoking volcano, Sakurajima, which has minor eruptions several times a day and which can be easily visited by ferry. Hikes and onsen and foot baths are just a few of the things you can do on the island. 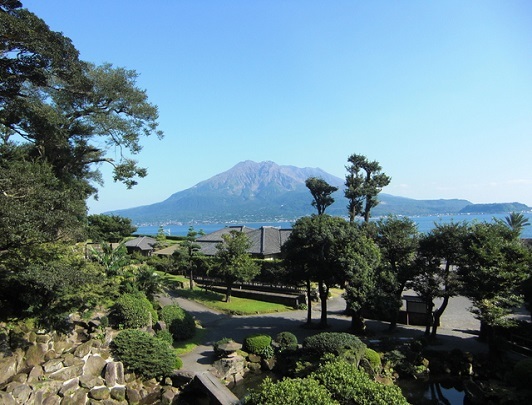 From Kagoshima you will be heading to the phenomenal mountain range of Kirishima, full of excellent hiking and staying the night in a charming onsen resort surrounded by forest. Kirishima has a known link to tales from Japanese mythology, and you can easily see why by the surroundings. Today you head to Kumamoto. Kumamoto is home of Kumamoto Castle, one of the grandest and most beautiful castles in Japan and home to the mascot 'Kumamon', whose face has become well known worldwide. Depart Hayato station at 10:54, arrive in Kumamoto at 12:28. Day trip to Takachiho Gorge by bus, and time to start using your SunQ Bus Pass! Travel to Kurokawa via Mt Aso by bus. 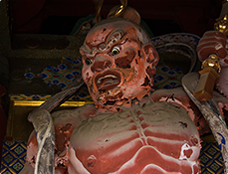 Kurokawa is a charming town, lined with ryokan, cafes, shops and small shrines. 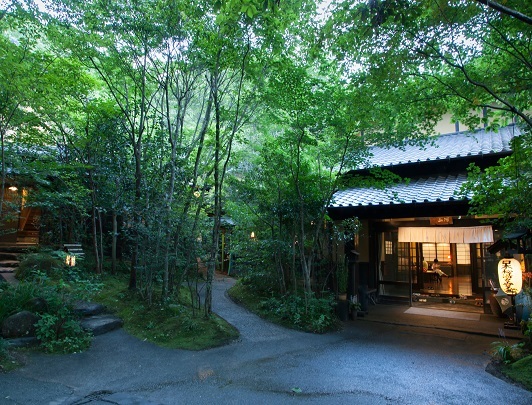 The ryokan are renowned for their outdoor baths, which allow you to take in the scenery while you bathe. Kurokawa offers an Onsen hopping pass, the 'Nyuto Tegata' which lets you visit three hot springs for only 1300yen (roughly £10), we highly recommend you take advantage of this! Along the way, you will be passing Mt. 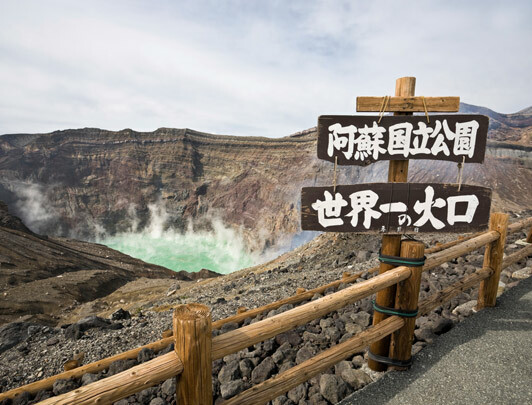 Aso, an active volcano where you can visit the crater itself! This is a unique opportunity! Spend a couple of hours exploring Mt. Aso. 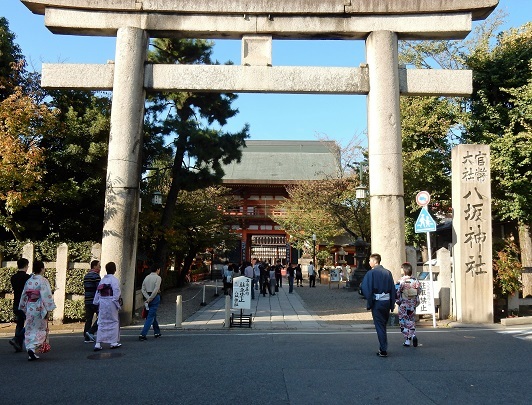 Today, you will head back to Fukuoka via Yufuin, another charming onsen town. 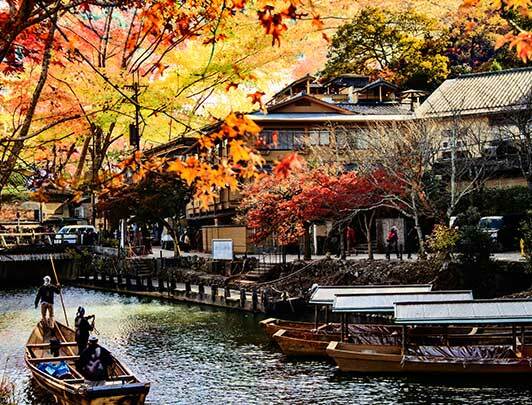 You are free to explore the picturesque onsen town of Yufuin until your bus departs for Fukuoka. Yufuin's centre is a bit more modern than some others like it in terms of shopping and cafes, but hot springs are still there to be enjoyed as well! Are you an onsen-o-holic yet? All good things must come to an end, and today you have to head back to the UK! 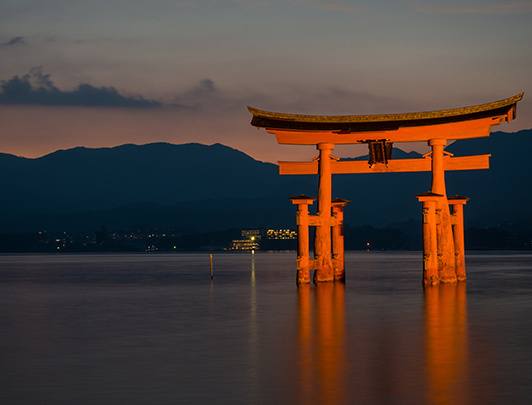 We really hope you have enjoyed your trip around one of the most beautiful areas of Japan and have made the most of your time here. 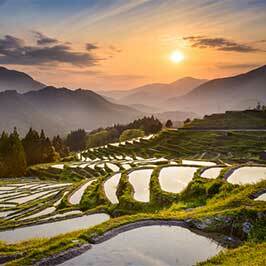 After an entire trip around Kyushu, you must be a true seasoned Japan traveller! 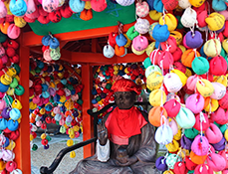 If you're up for an even bigger challenge next time, how about Shikoku, the smallest of Japan's four main islands and easily the most rural... We await your call! 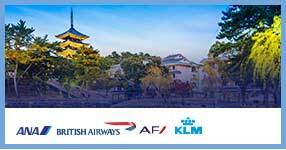 After you check out from your hotel, make your own way to Fukuoka airport and fly back home.